Even after fourteen years, it was always a joy for Jim to go into the studio to tape Muppet inserts for Sesame Street. Working with his co-performers in a rhythm that had been established over the years, under the direction of his longtime friend and collaborator Jon Stone, Jim enjoyed these sessions immensely. Many times, the team dissolved into laughter, requiring a pause in the action to catch their collective breath and settle down before turning the cameras on again. 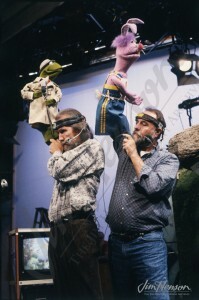 The camaraderie on the set and acknowledgement of the smart writing and sharp humor of the material being performed made work on each season fresh and never a chore. 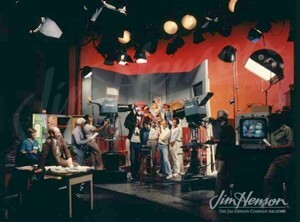 Jim and Jon Stone rehearsing a Sesame Street insert in 1970. 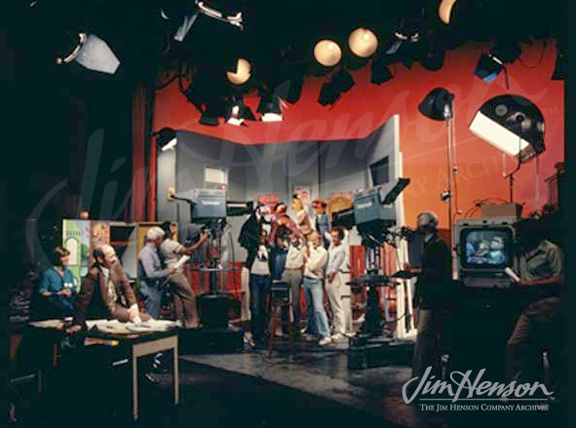 Muppet insert taping on Sesame Street, 1970s. 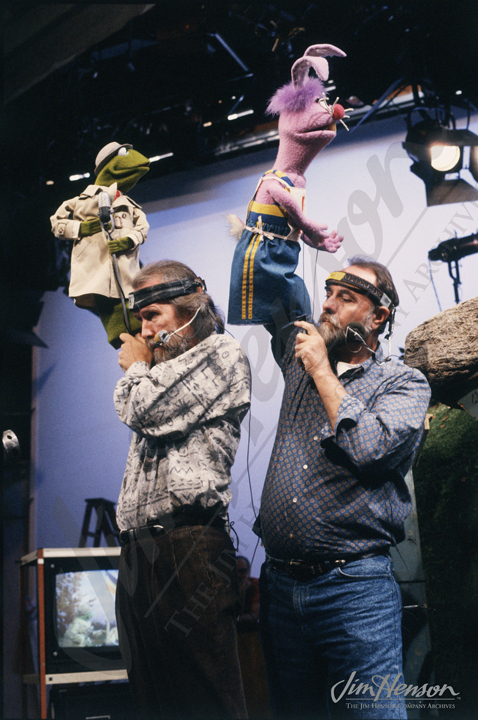 Jim and Jerry Nelson on the set of Sesame Street, 1980s. 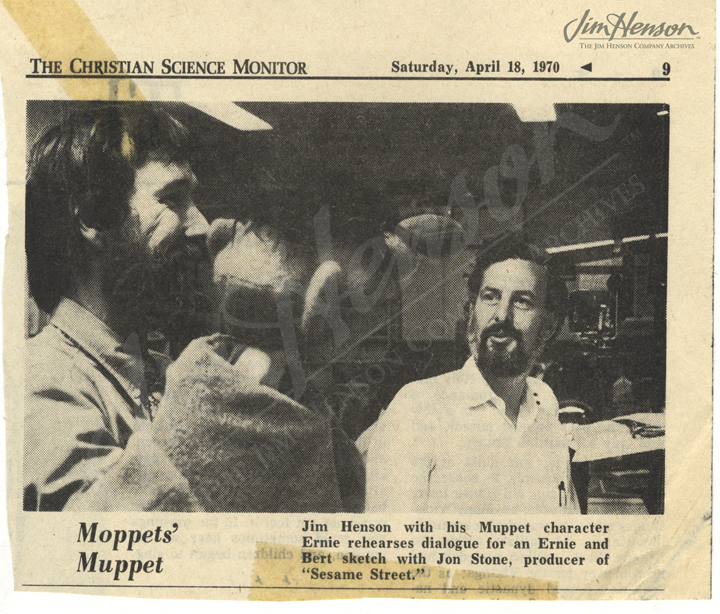 This entry was posted in 12-December '83, 1983, Sesame Street and tagged Jon Stone, Muppets. Bookmark the permalink.